Watching the sun rise. Breakfast in the sun. Cleaning up. Repacking. Filling up water. 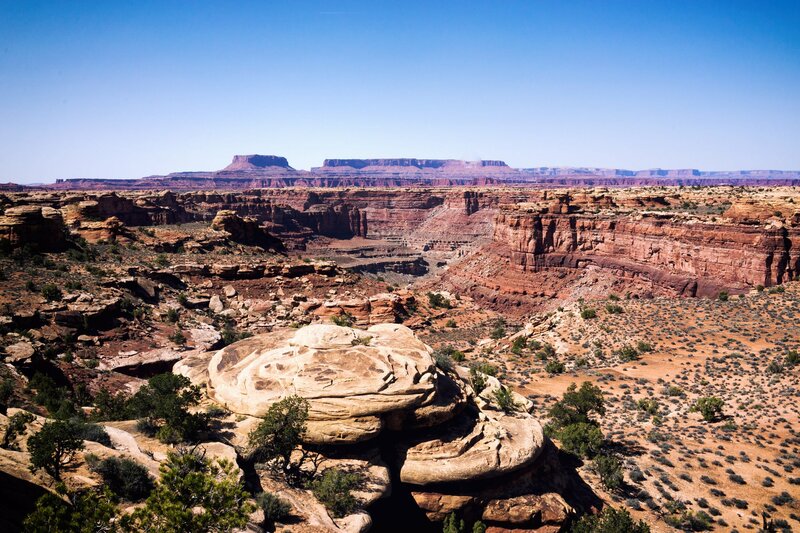 Driving to Canyonland. Blanding. Grocery and ice stop. Last minute turn to the Needles. No spots. Heading to Needles Outpost. Sliprock. Knocking down more rocks. Hitting every viewpoint. Getting slightly lost. Cave Springs. Gatorade powder. Whatever hike. Back at the campsite. LWL. Steak, mashed potatoes, corn on the cob, and broccoli. Ghee on everything. Last fire starter. Marshmallows. Red Bull vodka. Another 10 minutes. Full night.